The sound you hear is a Texas thunderstorm in mid summer. Sometimes it comes up so quick, and the rain is so intense they call it a "toad strangling rain." 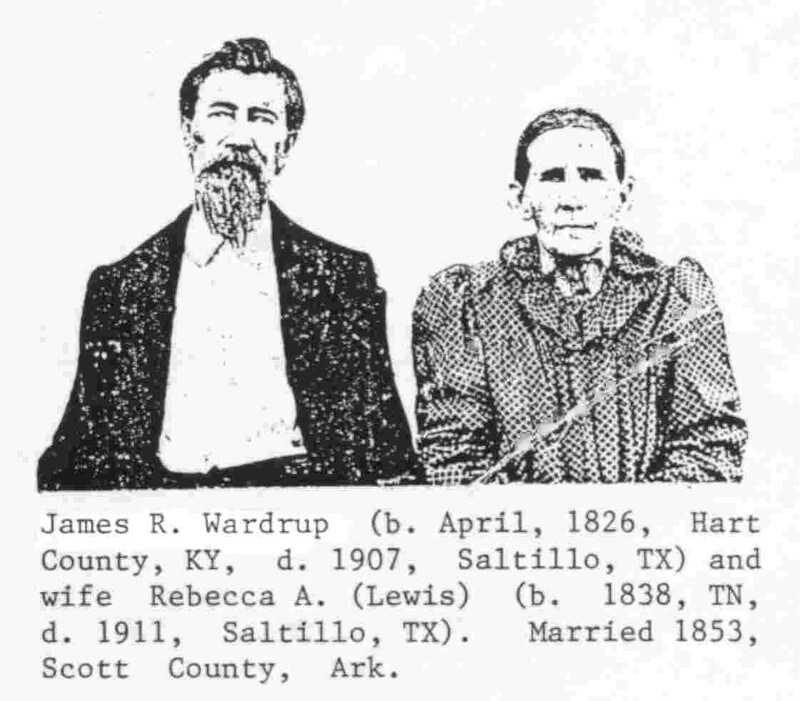 When that happens around Saltillo it cleans and refreshes Stout's Creek and sometimes causes Big Creek to act up. 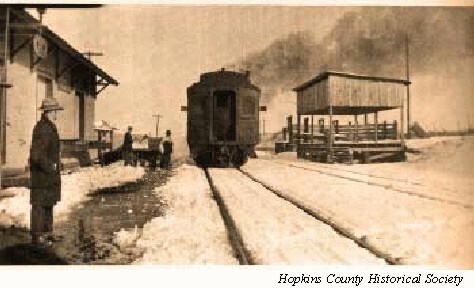 An eastbound train leaves Saltillo following a winter snowstorm, February 1917. Built in 1887, the St. Louis & Southwestern Railway (SSW), a 1500 mile carrier that ran from St. Louis to Memphis plus Fort Worth, Dallas, and Corsicana, passed through Saltillo. 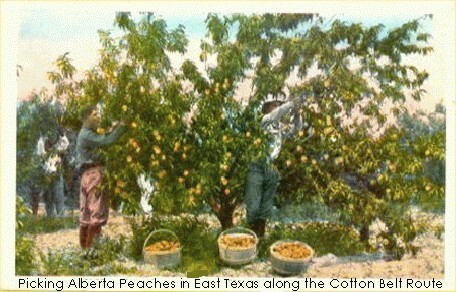 Its nickname was the "Cotton Belt Route," and its freight slogan was "Blue Streak Fast Freight." The railroad was of the single track type which required signals/communications and sidings. 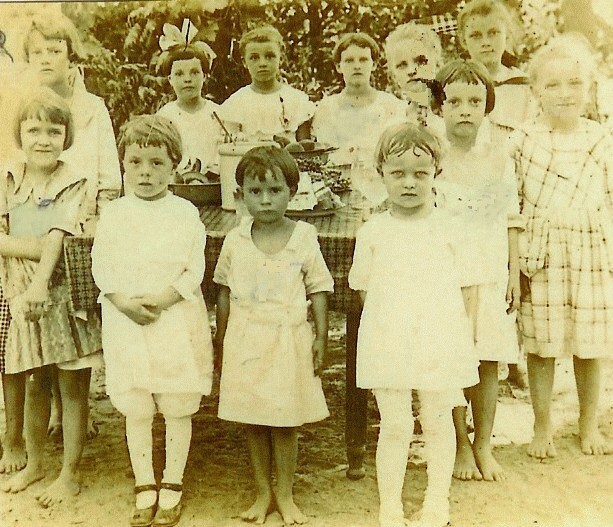 It did much for the develop- ment and economy of the area. No. 1, Bankhead Highway, and Broadway of America. 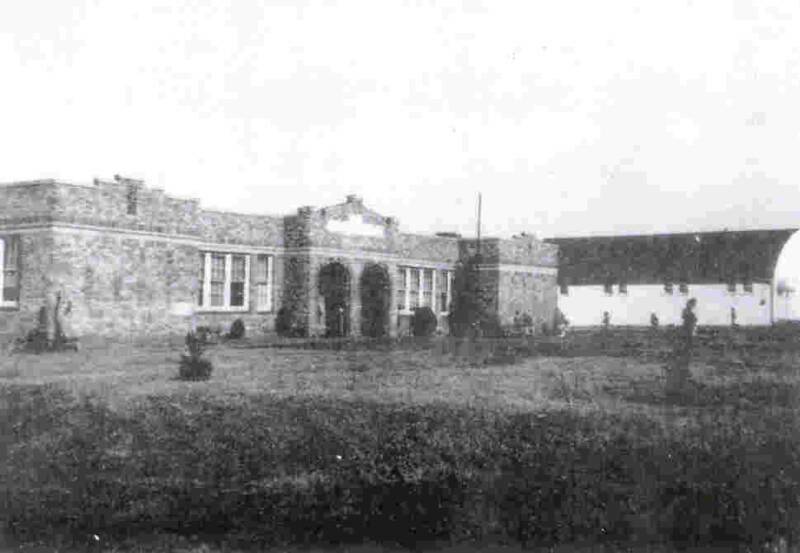 Saltillo school built about 1919. 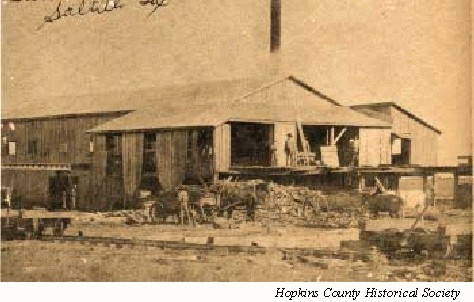 A Saltillo sawmill circa 1909. The sawmill was located behind the railroad's water tank. A tram or cogwheel train transported logs from White Oak bottom to this site. 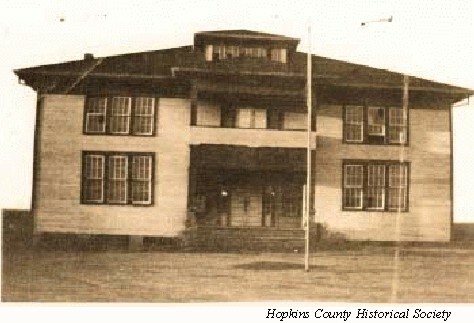 This school was built in 1930 at a cost of $25,000. 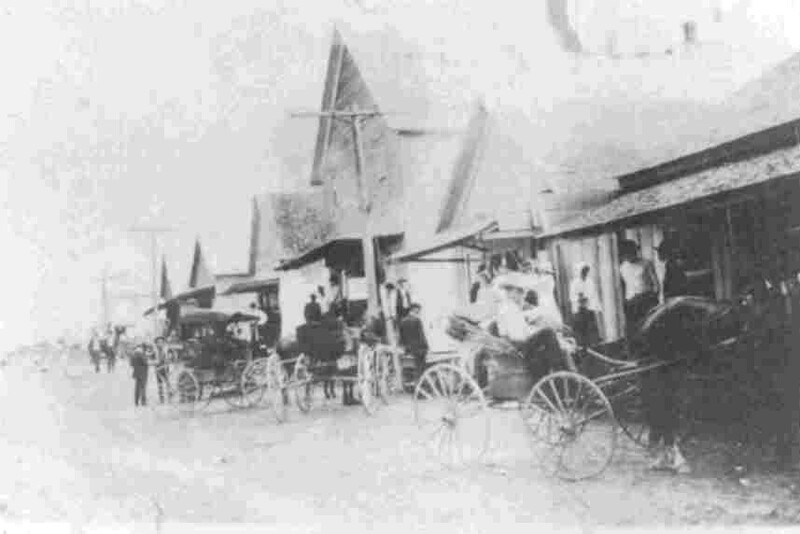 The gymnasium was the white building to the right. 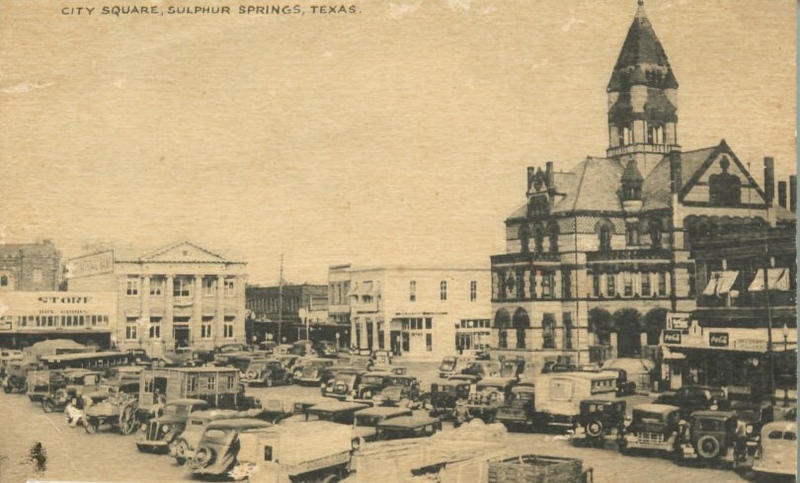 Sulphur Springs, Texas, square in 1930's. 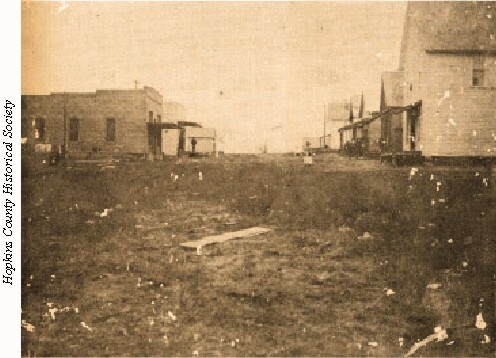 The Hopkins County courthouse to the right was built in 1894. 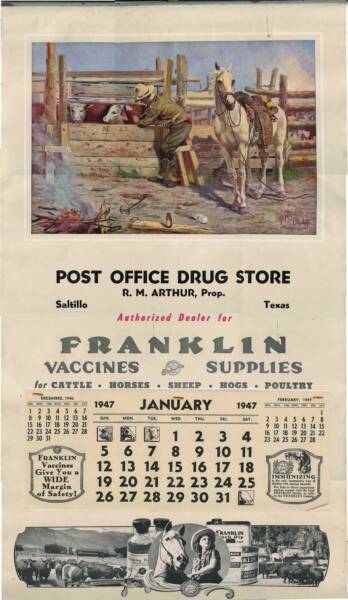 Sulphur Springs, the county seat of Hopkins County, is 17 miles west of Salitllo.